This is an excerpt from this week’s premium update from the The Financial Tap, which is dedicated to helping people learn to grow into successful investors by providing cycle research on multiple markets delivered twice weekly. For more up to date commentary subscribe. Now offering monthly & quarterly subscriptions with 30 day refund available if not 100% satisfied. I’m almost certain this is a new Investor Cycle, which naturally makes this the 1st Daily Cycle. 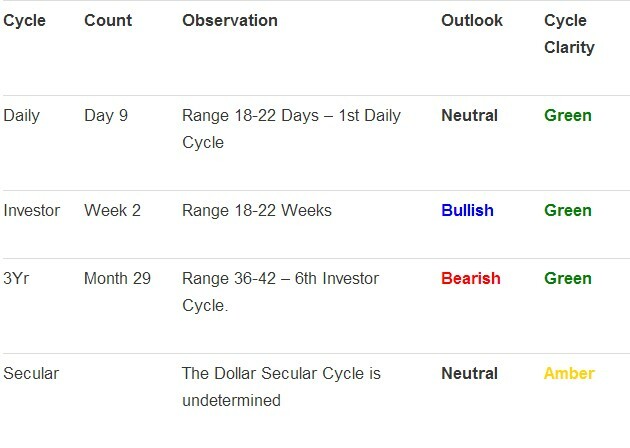 I’ve also made it clear that my expectations for this Investor Cycle are not very positive, as I expect this Cycle might top as early as week 3 in what would be an extreme Left Translated Cycle. But this is barely week 2, or Day 9 of the Daily Cycle, so for now we should see much higher prices for the immediate future. The Dollar is also forming a bull flag on the daily chart, which points to higher prices directly ahead. 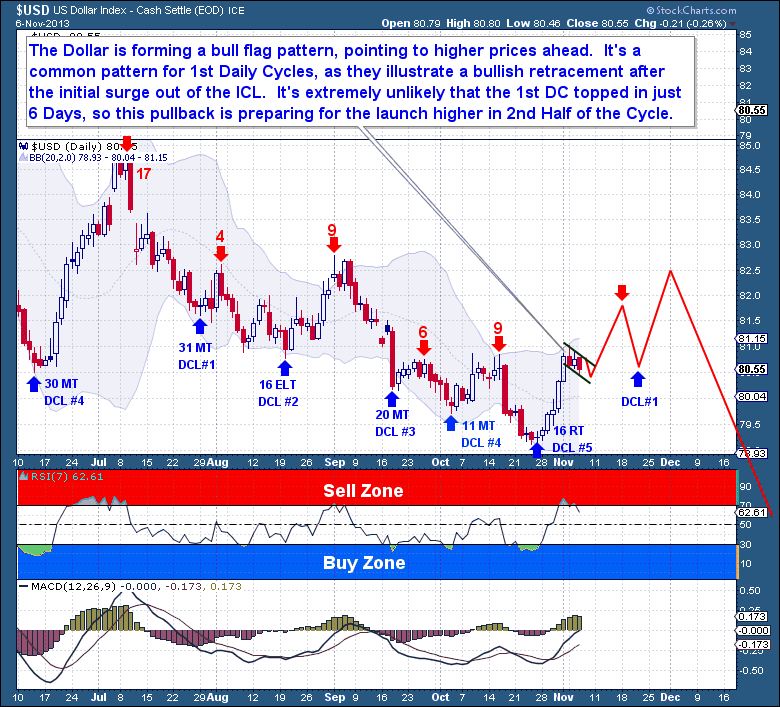 It’s a common pattern for 1st Daily Cycles, as it typically illustrates the consolidation often seen between the initial burst out of the ICL, and the 2nd half of the Daily Cycle. As it would be extremely unlikely that the 1st DC topped in just 6 Days, this pullback should be a pause before the dollar resumes its rise in the 2nd Half of the Cycle.